Meningococcal Disease discovered in an adult. The Ministry of Health and Medical Services has declared an outbreak of meningococcal disease in Fiji. 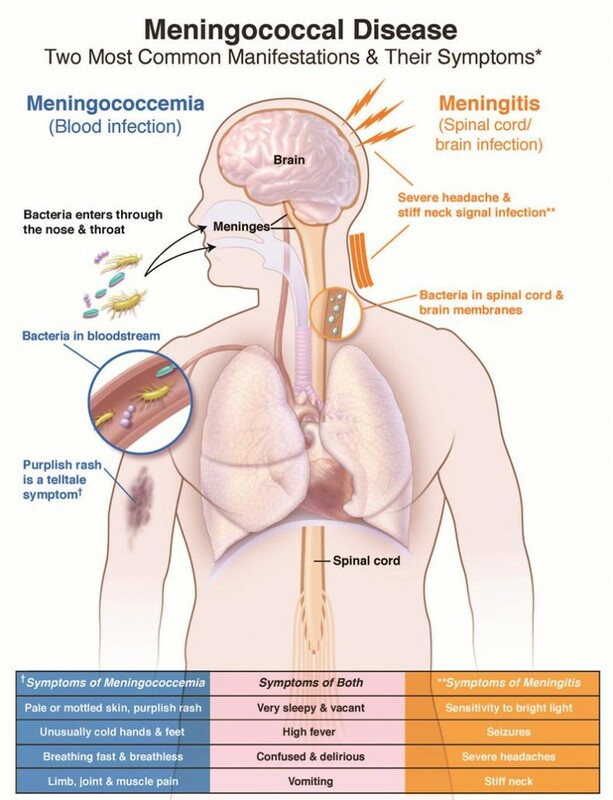 Meningococcal disease is a life-threating disease caused by the bacteria Neisseria meningitidis. It can cause infections in the lining of the brain (meningitis) and in the blood (meningococcemia), or both. These conditions are very serious and can be deadly, but can be treated if detected early. Identifying symptoms early and seeking urgent medical treatment at a health facility is critical, and will give a person the best chance of survival. Meningococcal disease can only be treated at a health facility with antibiotic medication (medicines that kills bacteria in the body) specifically used for this disease. People with meningococcal disease will be admitted to hospital. 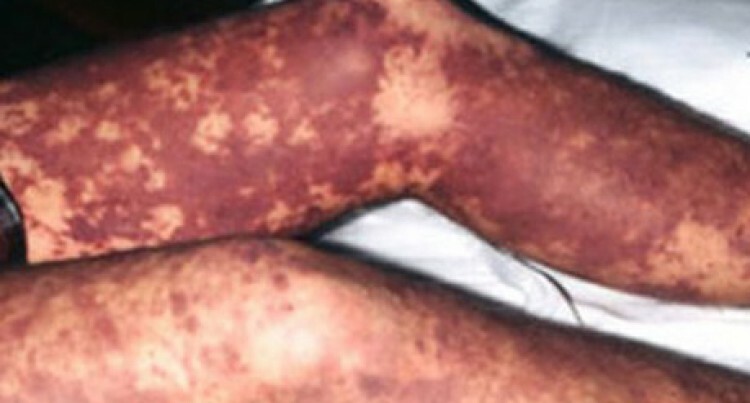 Over recent years Fiji has had an increase in cases of meningococcal disease. Prior to 2016, there were 1-10 cases per year reported. In 2016 there were 29 cases, and in 2017 there were 48 cases. In 2018, there have been 18 cases as of February 21st. Even with the recent increase in cases, meningococcal disease remains uncommon in Fiji. However, this disease has a high death rate. According to the WHO, without appropriate medical treatment, up to 50 per cent of people who get the disease will die. Most people who get the disease, and are treated appropriately, will recover fully, however 10-15 per cent will still die, and around 20 per cent will have permanent disabilities, including severe brain damage. In 2017, 14.4 per cent of all people who had meningococcal disease in Fiji died. To put this in context, the death rate for dengue fever in Fiji is 0.4-0.6 per cent annually, even during outbreaks. This is why the Ministry of Health and Medical Services is taking nation-wide action. The meningococcal disease bacteria are not easily transmitted but are spread from person to person via transfer of saliva or spit. This can happen when a person with the bacteria coughs on an uninfected person, or deeply kisses an uninfected person on the mouth. It may also be spread through sharing of drinks from the same glass/cup, water bottle or bowl e.g. kava or taki alcohol at nightclub. Babies and children under the age of 5 frequently put things into their mouths, therefore they are also at risk of getting the bacteria. Not everyone who has the bacteria will get the disease. Approximately 10-20per cent of the general population will carry the bacteria at the back of their nose and mouth from time to time, but will not have any symptoms. This is because meningococcal disease only occurs when the bacteria get into the bloodstream, and this happens in less than 1per cent of those that have it. Anyone can get meningococcal disease. However, it occurs most often in babies, children under the age of 5, teenagers and young adults. And there is an increased risk of meningococcal disease spreading in boarding schools and between people living within the same house. Don’t share eating utensils, cups/glasses/water bottles, drinks (taki), cigarettes, or kava bowls. The Ministry of Health and Medical Services has set up a Meningococcal Disease Taskforce that is working to strengthen early detection and urgent treatment of patients suspected to have meningococcal disease at all health facilities. This will involve training of clinical staff in case management, as well as training public health officers in preventing spread in the community through education and treatment of close contacts of cases. The Taskforce is also conducting urgent consultations with our development partners on procurement of vaccines for meningococcal disease. Public awareness is also a key component of the Ministry’s strategy to combat the disease, and we urge everyone to become familiar with the signs and symptoms of meningococcal disease (described in the attached information sheet) and go urgently to a health facility if they are present.